I had the pleasure and privilege of sampling many, many wines in the past year. Most were good, some were great and some knocked my socks off. It’s not easy to find wines that are knockouts for under $20, but I discovered a few. So, here are a handful of my favorite under-$20 wines of 2012. Winemaker Carol Shelton is rightfully lauded for her award-winning Zinfandel. However, it was a white wine of hers that caught my attention when she visited Salt Lake City in the fall: Carol Shelton Coquille Blanc 2009 ($15.99). I admit I’m a sucker for RhÃ´ne-style white-wine blends. And this one hits all the right notes. It’s a Grenache Blanc/Roussanne/Viognier combo with gorgeous white-peach and pear aromas and exotic fruit flavors on the palate, with hints of almond and honeysuckle. 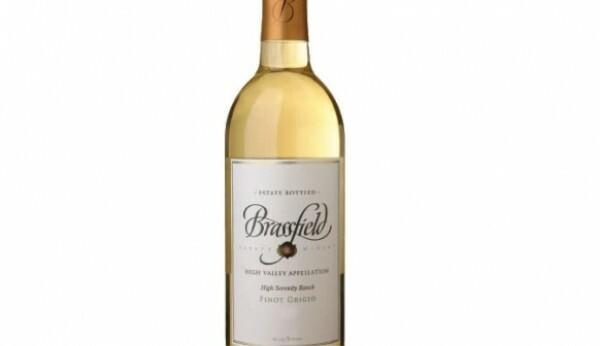 Another terrific white-wine discovery of 2012 was Brassfield Winery High Serenity Ranch Vineyard Pinot Grigio 2011. It sells here for a measly $11.96, and it will rock you. That’s not something I often say about Pinot Grigio, which can be as dull as watching grass grow. But renowned winemaker David Ramey of Ramey Wine Cellars has been working with Brassfield Estate and lending his magic to its wines. This Pinot Grigio is fermented in a combination of stainless-steel tanks, neutral oak barrels and small stainless-steel barrels, and aged sur lie for six months with battonage (that’s the stirring of the lees), which adds beautiful body and texture to the wine—again, not terms I normally associate with Pinot Grigio. There are Fuji apple and melon aromas on the nose, and the wine is crisp and bright, with good acidity and lemon-lime notes on the palate. I’m grateful to have discovered the wines of Italy’s Mariano Buglioni this year. And, I’m especially fond of Buglioni L’Intruso ($16.11), made from 100 percent Garganega grapes, a varietal widely grown in the Veneto region of northeast Italy. Buglioni L’Intruso has tangy acidity, making it a good wine for food pairings. It’s brimming with tropical-fruit flavors and aromas—pineapple, mango and kiwi—along with white-flower notes on the nose. It’s an unoaked wine, fermented in stainless steel, and is terrific with seafood dishes. Produced by Les Vignerons de Tautavel Vingrau cooperative, in the CÃ´tes Catalanes appellation of France, comes Le Cirque Grenache Gris ($12.99). “Le Cirque” refers to the vast, amphitheater-shaped bowl of vineyards where this wine’s grapes (100 percent Grenache Gris) are grown. The wine is aged in stainless steel, with no malolactic fermentation, so don’t go looking for the oaky, creamy flavors or texture that you might associate with Chardonnay. However, the wine does have a lot of body and is quite aromatic. Give it a good sniff and you’ll find lots of pretty floral notes—some honeysuckle in there. I taste ripe melons, some pineapple and white peach on the palate. If you’re really paying attention, you might notice a little green tang at the end of a sip. There’s a hint of something that tastes like charred Anaheim pepper in the finish. Cline Cellars Cashmere ($13.99) is a silky, luxurious blend of MourvÃ¨dre, Grenache and Syrah, fermented first in stainless steel and then racked to new French oak for eight months. There is robust fruit in Cashmere, with bright raspberry and cherry flavors, along with dark chocolate, plum and black pepper. Finally, one from the Kiwis: Craggy Range Te Kahu Gimblett Gravels Vineyard 2010 ($19.60) shows bold black fruits—blackberry, plum and boysenberry—along with herbal hints of thyme and mint, as well as cinnamon notes from its time spent in oak barrels. Simply put, it’s a helluva wine for $20.